It's never too early to start thinking about college and here at Sweet, Short & Stylish, I'm all about college fashion! With so many students being a part of greek life in college, I thought that I should share my favorite shop for all things greek: Adam Block Design. 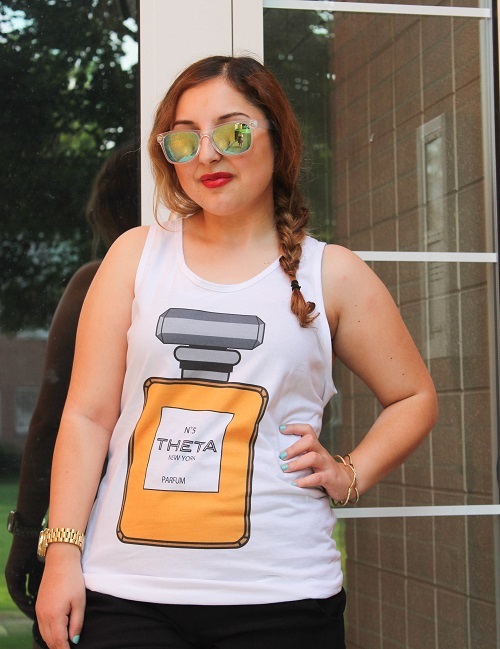 Adam Block Design is an online shop and an Offically Greek Licensed vendor that creates customized apparel for sorority and fraternity members. They carry a large selection of t-shirts, tank tops, hoodies, and accessories that can be customized by color, style, brand, and design. If you're looking for a new design from scratch they can do that too! Of course, if you're not in a sorority and simply looking for a new place to shop for graphic tees, shorts, and even rompers then check out their lifestyle clothing section. 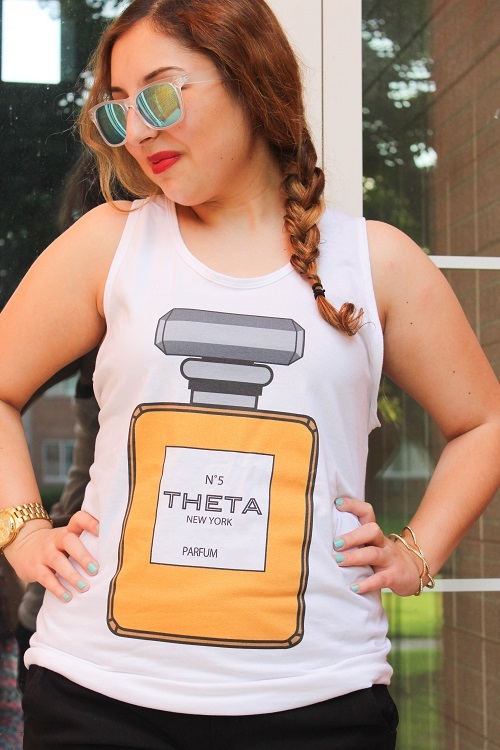 I fell in love with their Kappa Alpha Theta perfume tank and can't wait to wear it once school starts. 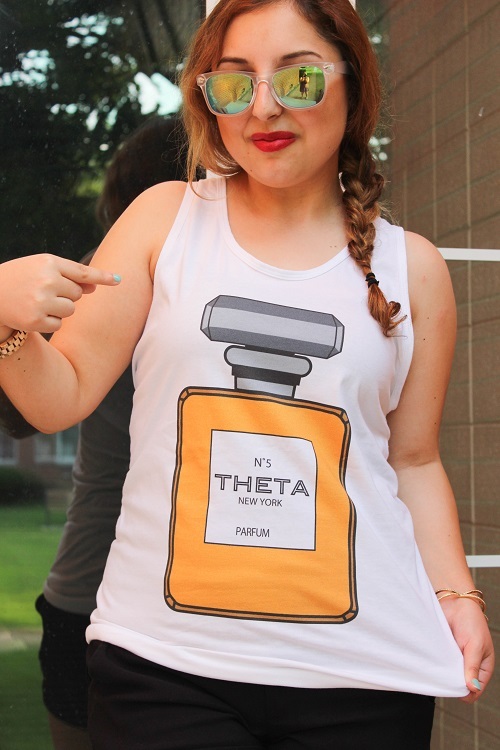 Not only does it show my love for perfumes and all things girly but is perfect for sorority events. They have so many stylish pieces to choose from and the best part is that it's great quality for affordable prices! This tank that I'm wearing only cost $24.99! Not bad right? They also give you the option of ordering in bulk so that way your entire sorority will look stylish.